The Capital's public transport system is sputtering. 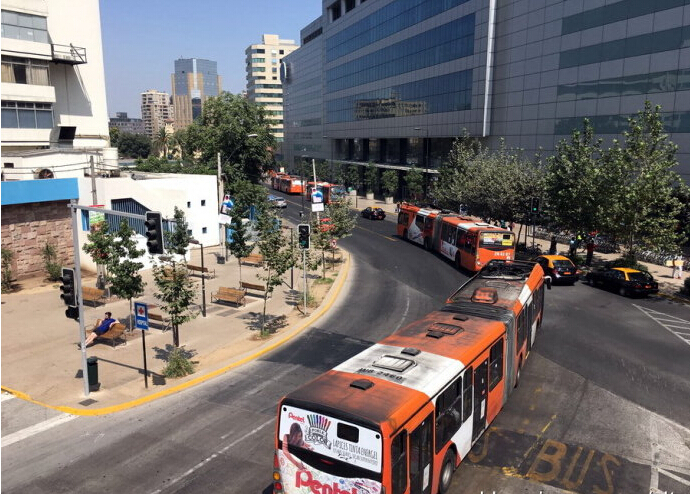 Transantiago, the Chilean capital's public-transport system, had its tenth birthday in February, but no one celebrated. Launched with much fanfare, the scheme was supposed to integrate bus and metro lines and speed up traffic. Fare evasion is rampant, journeys are getting slower and the state has spent billions of dollars to prop up private bus operators. Passengers sometimes wait ages at stops scrawled with graffiti with no inkling of when the next bus will arrive. Espacio Publico, a think-tank, calls Transantiago Chile's worst public-policy project since the country returned to democracy in 1990. Despite all that, Transantiago has brought some improvements. The number of fatal accidents has dropped sharply, as has pollution from exhaust fumes. The system's 20,000 employees are now on formal contracts and have better working conditions than before. Because bus drivers no longer handle cash, the number of robberies has fallen. Compared with transport in many other Latin American cities, Santiago's works pretty well. But it would be hard to persuade most commuters of that. The problems start with design. Planners laid some bus lanes directly over metro lines, so the two forms of transport compete rather than complementing each other. 例句:The new museum must be accessible by public transport. 例句:At rush hour when you go home, at least on the bus you have bus lanes. 例句:After about three months, I was no longer addicted to nicotine. 例句:According to a Boeing analysis, only 9 percent of fatal accidents occur at cruising altitude. faren. 路费，食物 vi. 过活，进展，进食 vi.